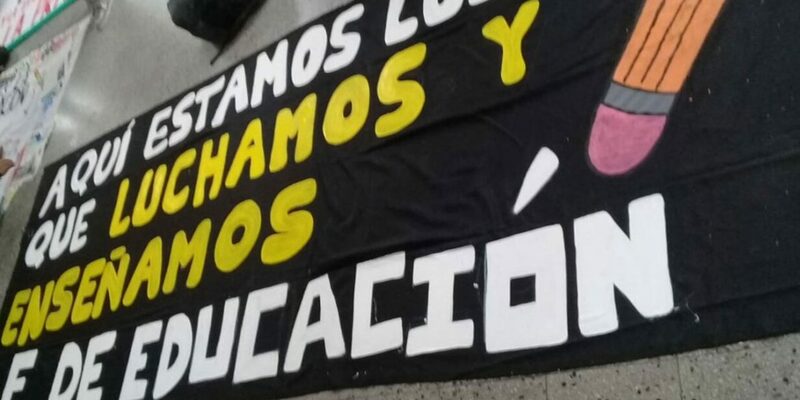 Colombia’s main student union called on all public and private universities to go on strike until the government agrees to increase the budget for the country’s chronically underfunded higher education. The National Union of Higher Education Students (UNEES) called for the strike after reportedly more than half a million students and teachers marched on Wednesday, but talks with the government of education failed on Thursday. In response to the marches, the administration of President Ivan Duque vowed to reassign $164 million (COP500 billion) to fill the higher education budget. The students want the government to reassign almost $1.5 billion (COP4.5 trillion) from the national budget to effectively close the budget gap and called for an indefinite strike and new marches on Wednesday. Student representative Ana Maria Rodriguez told press that the students will go on strike until the government agrees to the demanded budget increase and nine other demands. “We don’t want the government to come and tell us that these 4.5 trillion will be invested in student loans … our demand is related concretely to the core budget” of higher education like infrastructure. According to UNEED, the strike is supported by the powerful teachers union FECODE and the country’s largest labor union CUT. The national strike and marches are similar to those held in 2011 when students protested against the privatization of public education services. Under immense pressure, the government of former President Juan Manuel Santos caved in and abandoned the privatization plans opposed by the students. When Duque’s political patron Alvaro Uribe was president, student marches were often met with police violence and strikes were imposed by illegal armed groups that had infiltrated public universities. With the exception of a few cases of vandalism, Wednesday’s marches were peaceful. At the end of multiple of the marches, students and riot police even shook hands.